A TENS unit is a device you can use at home for pain management. TENS stands for transcutaneous electrical nerve stimulation. To use a TENS unit, you place sticky electrodes on the skin around a painful area, such as on the small of your back. When the TENS unit is turned on it delivers a small current through the electrodes to the skin and tissues just beneath it. You are likely to feel a bit of pins-and-needles tingling at the usual settings. But the intensity can be set high enough to make a muscle twitch. TENS is thought to disrupt the pain cycle by delivering a non-painful sensation to the skin around the pain site. In essence, TENS modulates the way we process the pain sensations from that area. TENS closes the pain gate, so to speak. Depending on the frequency the TENS unit delivers, the electrical stimulation can also trigger the body to release endorphins. Endorphins act as natural painkillers and help promote a feeling of well-being. Does TENS relieve chronic pain? Sadly, the jury is still out on this one. A number of researchers have determined that TENS can help control chronic pain. However, most studies show little difference between the TENS unit and the placebo. Like most chronic pain treatments, TENS does not work for everyone. The evidence is better that TENS can help relieve acute pain, with patients experiencing less pain than with a placebo device. The good news is that TENS has few adverse effects if any. Specifically, this treatment won't interact with your other medications, and it won't make you drowsy. Once your TENS unit is programmed, it is easy to apply and can be worn during most activities. TENS can lure you into a false sense of security, especially the first few times you use it. Many people feel pain relief and over-exert themselves, making their pain even worse. Usually, people either love TENS or they hate it. There is almost no gray area with these devices. A few minor risks are associated with TENS. For instance, this treatment should not be used if you have poor sensation, if you are pregnant, if you have cancer, or if you have a pacemaker. TENS should never be used around the heart, on the head, or over breast tissue. There is also a minor risk of skin irritation with TENS, but such irritation is rare. Although you can purchase a TENS unit online or at a local pharmacy or warehouse store, you should first consult your physician about using one. 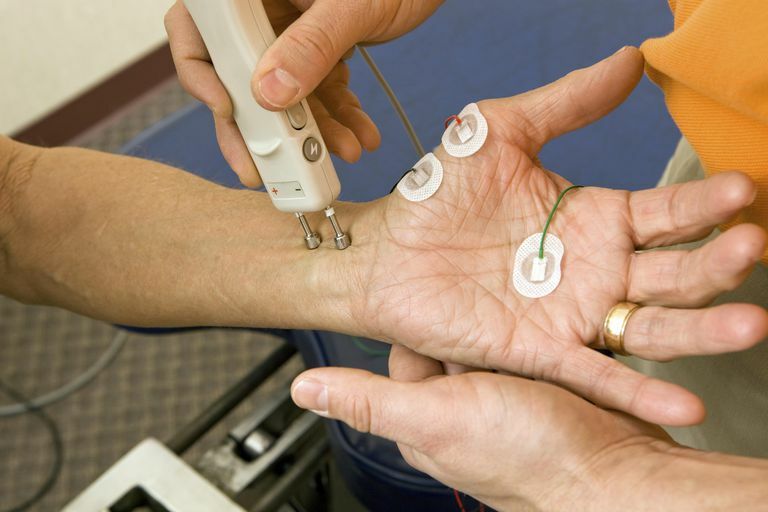 Your physician can refer you to a physical therapist who can help you determine the most appropriate setting for your TENS unit. You may need to try a few settings before you find the one that works best for you. If you have chronic or acute pain, your doctor may suggest trying TENS for relief. It is a non-invasive, non-drug choice for relieving pain. It won't work for everyone, and it may not work better than a placebo. Oosterhof J, Wilder-Smith OH, Boo TD, Oostendorp RAB, Crul BJP. The Long-Term Outcome of Transcutaneous Electrical Nerve Stimulation in the Treatment of Patients with Chronic Pain: A Randomized, Placebo-Controlled Trial. Pain Practice. 2012;12(7):513-522. doi:10.1111/j.1533-2500.2012.00533.x. Oosterhof, J et al. Predicting Outcome of TENS in Chronic Pain: A Prospective, Randomized, Placebo Controlled Trial. Pain. Volume 136, Issues 1-2. May 2008, pp 11-20. Simpson PM, Fouche PF, Thomas RE, Bendall JC. Transcutaneous Electrical Nerve Stimulation for Relieving Acute Pain in the Prehospital Setting. European Journal of Emergency Medicine. 2013:1. doi:10.1097/mej.0b013e328363c9c1.